How Uber Manages 1M Writes/Second Using Mesos and Cassandra — Uber needs to store location data sent out every 30 seconds by both driver and rider apps and it’s built a custom solution on top of Cassandra and Mesos to cope. GraphQL: Designing a Data Language — GraphQL is a static-strong-typed data query language and runtime designed and used at Facebook. This talk introduces it, its impact on architecture at Facebook, and how it was developed. 39 minutes. Embracing the Red Bar: Safely Refactoring Tests — Do you ever refactor your test code? 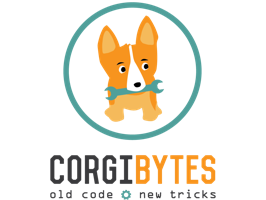 Corgibytes’ M. Scott Ford explores a technique for protecting against the possibility of turning a perfectly valid test into one that always passes, regardless of whether or not the code that it covers is correct. Sleepless Nights with MongoDB WiredTiger and Our Return to MMAPv1 — A tale of how a behavioral analytics platform upgraded to Mongo’s WiredTiger storage engine but had a bad experience. Using R to Detect Fraud At 1 Million Transactions Per Second — In Joseph Sirosh’s keynote at the Data Science Summit, Wee Hyong Took demonstrated using R in SQL Server 2016 to detect fraud in real-time credit card transactions at a rate of 1 million transactions per second. PostgreSQL 9.6 Released — The next key release of Postgres. Key features include parallel queries, faster autovacuum, phrase searching in full-text search, and many performance improvements. Release notes here. The Major Features in Postgres 9.6 [PDF] — Straightforward, simple slides with the basics on 9.6’s new features. Data Engineers in Hot Demand — Once it was all about ‘data scientists’ but now ‘data engineers’, engineers who excel at working with and storing data at a large scale, are in heavy demand. Blockchain Database Startup BigchainDB Raises €3 Million — The company aims to turn traditional databases into blockchains. Introducing the DreamFactory Cassandra Service — Easily connect to a Cassandra db with the same RESTful API already in use with other NoSQL databases in DreamFactory. Global Historical Daily Weather Data Now Available in BigQuery — Weather data from over 80,000 stations in 180 countries, spans several decades and has been quality-checked. Apache Cassandra 2.2.8 Released — This version is a bug fix release of the 2.2 series. You can grab it here. Zero to Hero Data Pipeline - From MongoDB to Cassandra — Migrating a data pipeline to Apache Cassandra in a short period without having any prior knowledge and doing all of the computation with Apache Spark. Just over and hour long. Elixir ETS Versus Redis — Redis is becoming an assumed part of many web stacks, in the same breath as your database. But with Elixir, do you need it? Do you even need a database? When to Choose SQL and When to Choose NoSQL — When should NoSQL storage systems be evaluated as an alternative to RDBMS? mTools: A Must-Have Toolkit for MongoDB — Six tools in one, including a log reader, log filter, and random data generator. UpscaleDB-MySQL: A MySQL Storage Engine Based on UpscaleDB — UpscaleDB is an embedded key/value database with fast analytical functions.